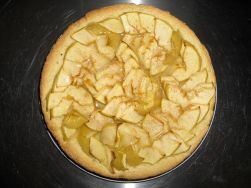 Same base recipe as for the apple and kiwi pies. 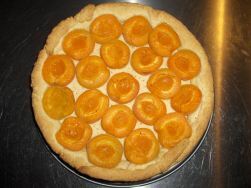 This time using about 10 pieces of apricot, i.e. around 350-400 gramms. A picture of the result you can see below. Given that the dough for the Kiwi Pie was quite good, I decided to go for other fruits. The next best thing I could think of were apples. 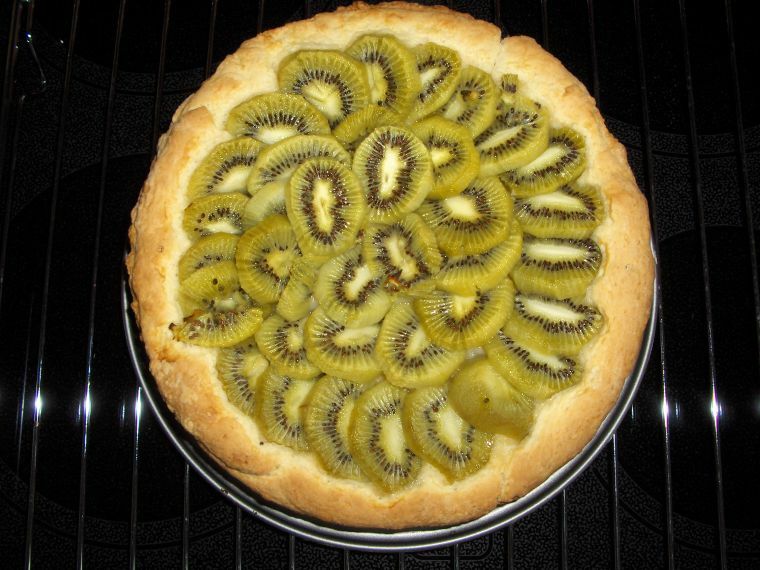 So I swapped the 6 kiwis for 2 apples, with the following picture showing the outcome. And people actually liked it. Here’s a little recipe which I tried out last Sunday. 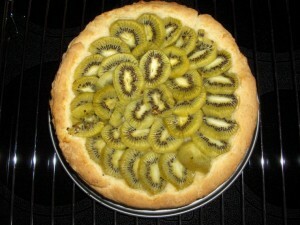 The result was the Kiwi Pie on the picture below. Mix the flour with the baking powder and sugar in a bowl. Add the butter, egg and milk and knead the dough. Heat the oven up to 200Â°C. Lay out the dough in a spring form (around 24cm âˆ…). Peel the Kiwis and cut them into slices. Lay out the slices and bake the pie for about 20 minutes. I actually also took some powdered sugar and lemon juice to mix some icing which I put over the pie. But you should wait with that until the pie has cooled down.